"Home Cookin' at its Best"
Now taking reservations for Mother's Day!!! Click here to view featured Easter Menu Items! Breakfast Served 7am to 11am Tuesday through Sunday!!! On this site you will find our complete menu and our weekly specials. 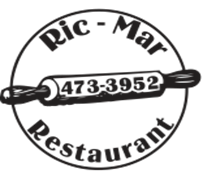 Welcome to the ric-Mar restaurant in Northumberland PA (Pennsylvania) we are located in northumberland county and feature american cuisine with a casual family atmosphere.